In what is surely our best episode ever, the Dice Men talk to an actual SdJ Judge to discuss the recent awards! We then argue over which game won and why, especially as we just played Exit and our brains still hurt. 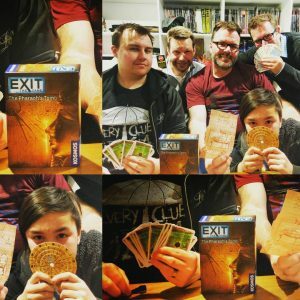 Trent then has the nerve to interview another game designer who for some reason choses to live in northern Tasmania…you’ll have to listen to find out why. All that plus the winners of our Ludicity competition are announced live on air! !